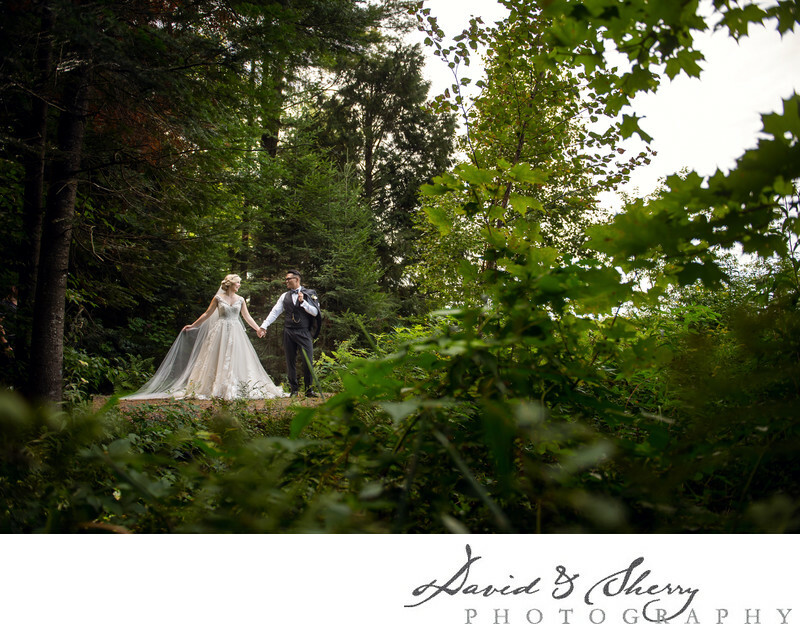 What is Our Wedding Photography Style? In the centuries old paintings of royalty where the artist could only choose one picture and it took them weeks or months to paint it they had to choose very carefully because the portrait would be passed on for generations. It had to look good hundreds of years later as it did when the portrait was created. In order to accomplish this the great artists focused on principles that were not trendy and didn’t change with the times which were lighting, storytelling, complimentary posing, composition, texture, and colour. Have a look at the Mona Lisa and look from the perspective of how beautiful the lighting is, how it tells a piece of the story of this lady’s life, how she is posed to compliment her figure, how where she is framed in the image is symmetrical, and how the colour and texture of her dress adds intrigue to the image. It is these same principles we base our wedding photography art on. So when we approach any situation we are first looking for the best lighting. Where is the light coming from? what quality is it? and how can we use it to best show off our subject? From there we either move the couple into the best light or move ourselves into place for using the available light to our best advantage. Our skills in posing and knowing the human body and how to get the most flattering angles helps us to direct you to show off the best version of you. We then look at whether we should shoot a wide photo or a tight one, are we focusing on the scene or the emotion, and how can we add or incorporate texture and add or isolate certain colours. The longer answer follows and what we have done is listed out and described each of the commonly shared styles and how we use different ones on the wedding day. As a photography style,Wedding photography is unique in that we are required to wear many different hats on the day. Classic: Traditional, a timeless style of photography. The nicely posed, looking at the camera image that will look great generations from now, the same as Grandma’s wedding photograph does today. It will involve attention to the background and lighting, posing, possibly adjusting clothing, flowers, even hair to make sure the photo is perfect. 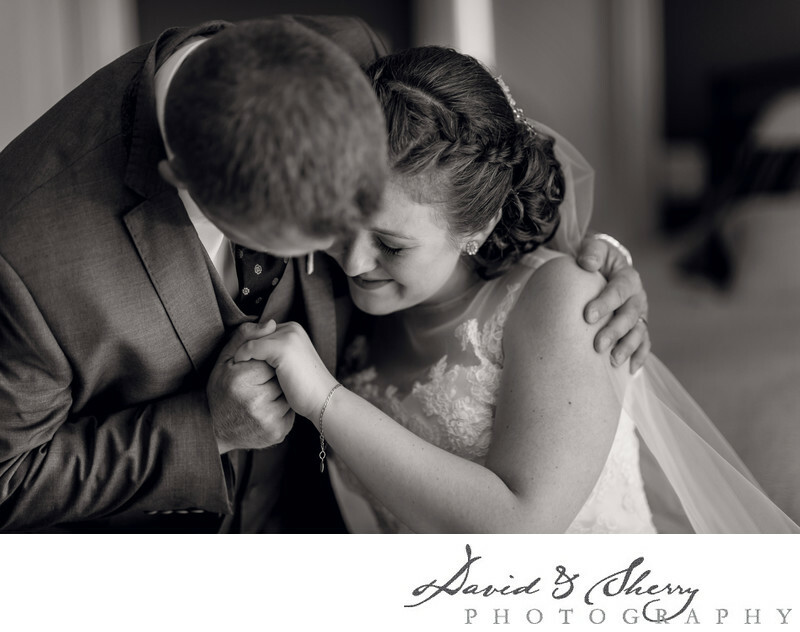 Throughout a wedding day we are aiming to create images for every use and for everyone who may want a picture from your wedding. This includes parents, grandparents, aunts and uncles many of whom would love a picture that will match the style of images they received from their own wedding to hang side by side with the images on their walls. We use this classic portraiture to keep with the traditions of generations passed and to create images that are going to be enjoyed on the walls of homes for decades to come. Photojournalism: Documentary, Reportage, Candid, This style of photography began as the name suggests in journalism. It’s leap into wedding photography is a beautiful thing and is where the moments became king. Capturing real emotion and moments in true photojournalism is to have no intervention in what is taking place before us to make the photo better. You must photograph everything as it appears. If the action is happening in good lighting or bad, you have to have no influence on the scene in front of you but are merely a fly on the wall. You are not even suppose to rearrange shoes to create a stunning shoe shot. So though we love this style of photography, in it’s truest form we find it very limiting to creating the details, the portraits, the couplescapes you see in our galleries. We very much use the principles of photojournalism throughout the wedding day to capture the real moments, emotion and bouts of laughter that ensue but we fuse it with some of the other styles throughout the day. It has influence throughout our work but isn’t the only style. Fine Art Photography: Also known as Creative or Artistic style of photography, this involves using interesting angles, use of reflections, unique lighting effects with impressive post production skills to turn a photograph in fine art. to keep bettering our photography skills, try and succeed at different techniques and to keep ourselves creatively growing. We are continually acquiring new or different equipment to try new things and challenging ourselves to learn about each aspect of our job. Fashion Photography: In the photography world this refers to Editorial Photography, fashion advertisements seen in Magazines. As it is brought into the wedding world it brings the bride off the pages of Vogue through model-esque posing, stylish attire, unparalleled spaces, unconventional lighting, and a magazine like finish in post-production. "THIS IS WHAT INSPIRES US, AND IS WHERE THE IDEA FOR OUR COUPLESCAPES CAME FROM." placing a beautiful couple in a stunning environment, elegantly dressed, and turned into models if even just for a moment, but captured for a lifetime. Natural Light: This type of photography uses the available light in any situation with which to create the pictures. No additional light is added in by the photographer, he/she uses what is around him and places his subjects within the best possible light available or moves himself to take advantage of the best light. Used correctly with knowledge, skill and direction, this can be a wonderful style of photography and is one the we use most often on a wedding day. 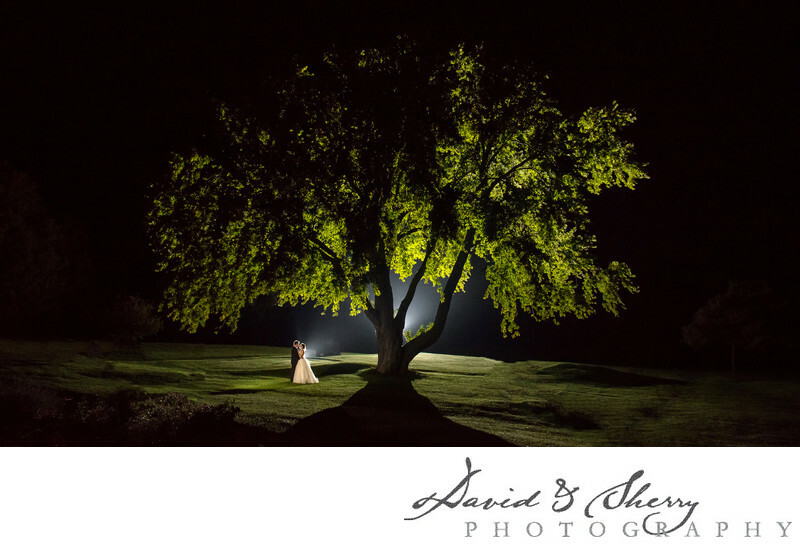 By reading the light around where we are we can learn to see the directions and quality of light available and we place our brides and grooms in it to create excellent pictures. "THIS IS WHAT KEEPS OUR PHOTOGRAPHY LOOKING TIMELESS." Natural light is also the best source of lighting and so whenever possible we use it instead of flash or other lighting. 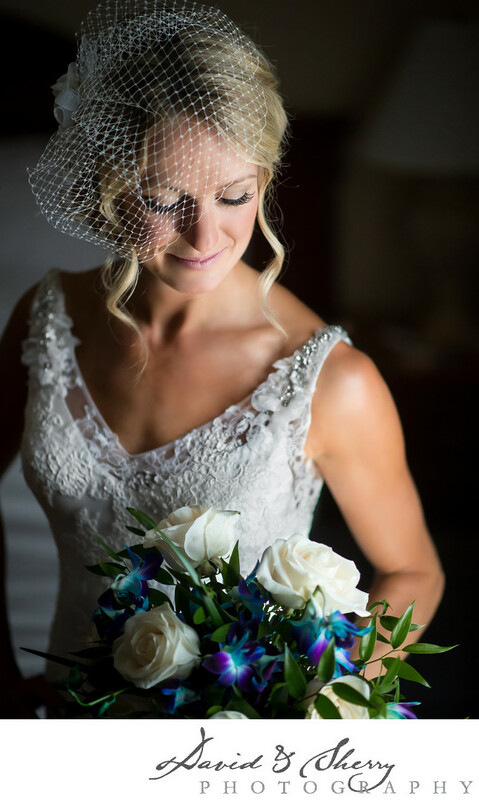 The use of shadows is as important as the use of light as it allows us to shape a bride with the light to put more emphasis on the things we want to see in ourselves the most. Still Life: Still life photography is capturing images of inanimate objects and turning them into art. A still life photographer looks closer in to the things around us. We see their work daily through advertisements, print media on billboards, and the stunning pictures of food that make us crave eating at that local restaurant. Though still life photography is not generally associated with weddings, throughout the day we are taking inspiration from still life photographers and creating stunning photographs of the shoes, the flowers, the dress, the decor and the details of the wedding day to bring together the whole picture of what it was like to be there on the day and to record all the beautiful design ideas you spent countless hours pouring over in the planning of your wedding. Trendy Photography: This style is all about what is popular today. Every few years a different trend in wedding photography arises and offers a popular way of posing a couple or of editing a photo. An example would be the spot-colouring phase of the mid 2000s where a bridal party would be all in black and white and have the flowers left in colour. We generally try to stay away from these as we are creating images that will be passed on for generations. We want them to look as good 50 years from now as they do today. Some of these ideas come from social media platforms such as Pinterest and as such have come from other creative professionals. We love Pinterest and the ideas it shares but want it to be used as inspiration rather than duplication. We desire and strive to keep your images representing who you are as a couple and a bridal party together. Getting Ready: Photojournalistic/still life - We are capturing the details of the bride and groom's attire as well as documenting all of your girls together in the same room excited for the day of the wedding. Bridal/groom Portraits: Traditional/Fashion Photography/Natural light/Fine Art - We all want to look our very best, and we aim to provide you the best portrait you’ve ever seen of yourself. All of our skill and knowledge plays into creating wonderful portraits for you. First Look: Photojouranalisitc/ Natural Light - We often select the location and stand back to capture the beautiful moments that are the first look(s) - plural because he always looks many times. 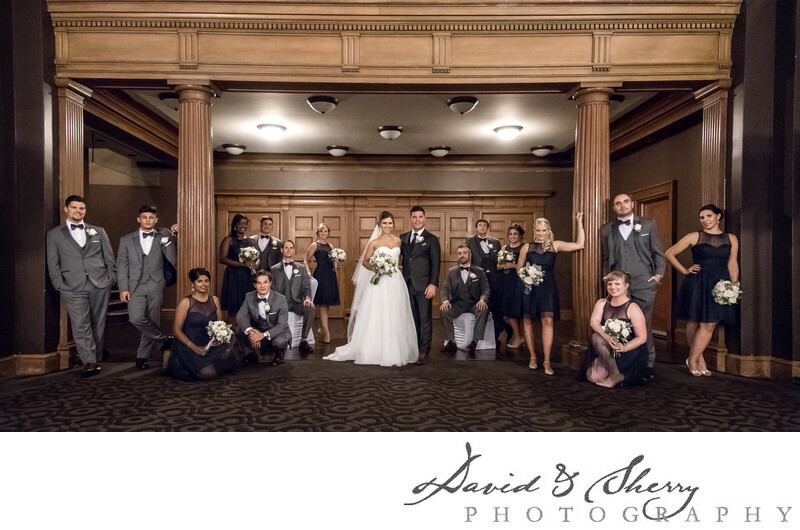 Formals of both Bride and Groom and Bridal party: Fashion/Classic/Photojournalistic/Fine Art/ Natural Light - Posing groups is a fun challenge as we are working to make everyone in the photo look fantastic. Reception: Photojournalistic/Fine Art/Still Life - Reception details, first dance, speeches and reactions are all part of the wedding day where we are using different skills to create a dynamic mix of photos for you. Night Portraits: Fine Art/Fashion - This is often where we allow our imaginations run wild and create something truly unique. 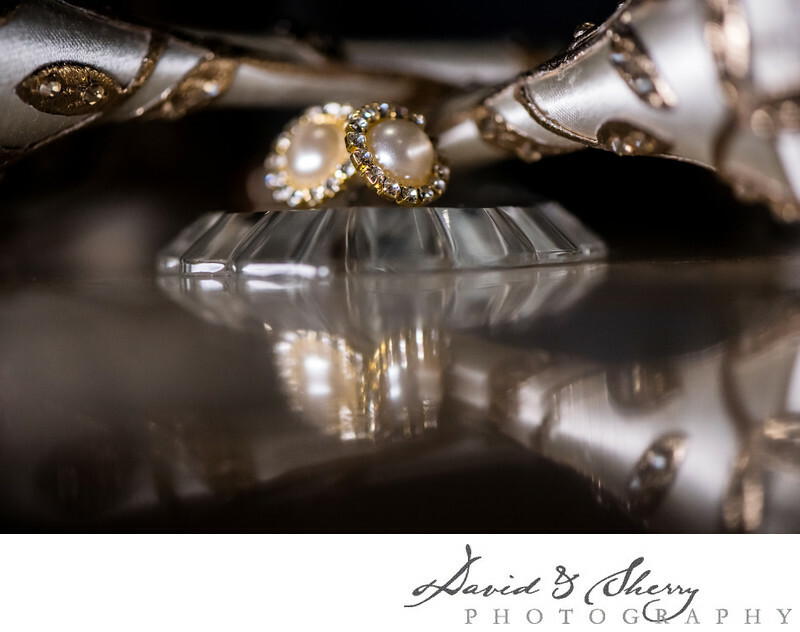 We use many different aspects of photography throughout your wedding day to create for you a wonderful collection of creative fine art imagery that will be treasured for years to come. AND WE CONTINUE TO DEVELOP OUR CRAFT EVERY YEAR."